Erica Moffett knows the open water. She has completed the Triple Crown of Open Water Swimming and the Grand Slam of Open Water Swimming as well as additional marathon swims. 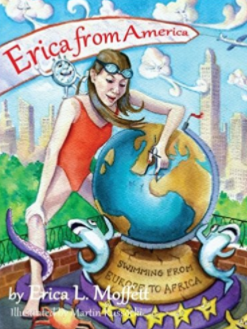 She recently wrote an illustrated children's book [Erica from America: Swimming from Europe to Africa] based on her open water swim of the Strait of Gibraltar that won the Marriah Media Gold Award. 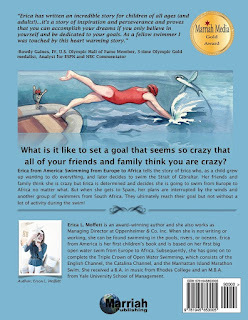 The book is beautifully illustrated by another swimmer, Martin Russocki, with a testimonial from 3-time Olympic champion Rowdy Gaines on the cover. The story encourages children to face their fears and reach for their dreams. 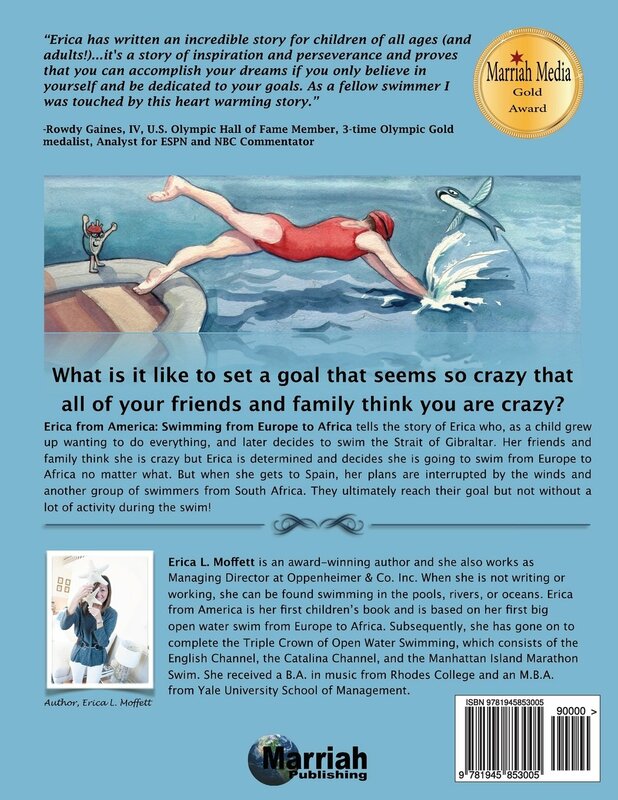 "Erica has written an incredible story for children of all ages (and adults! )...it's a story of inspiration and perseverance and proves that you can accomplish your dreams if you only believe in yourself and be dedicated to your goals. As a fellow swimmer, I was touched by this heart-warming story," wrote Gaines. Erica from America: Swimming from Europe to Africa tells the story of Erica who, as a child grew up wanting to do everything, and later decides to swim the Strait of Gibraltar. Her friends and family think she is crazy, but Erica is determined and decides she is going to swim from Europe to Africa no matter what. But when she gets to Spain, her plans are interrupted by the winds and another group of swimmers from South Africa. They ultimately reach their goal but not without a lot of activity during the swim. For more information, visit here on Amazon.